Whether it’s natural gas or LPG, gas has become the most popular form of energy for homes and businesses across Perth. 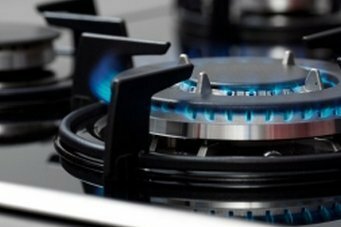 Gas is extremely cost effective, safe to run and flexible enough to power a range of appliance and systems such as cookers and ovens, bbq’s, hot water units and heating. 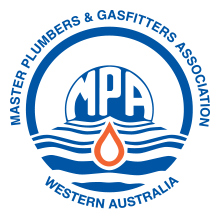 If you’re looking for a reliable and professional gas fitter in the Perth area, look no further than Superior Plumbing. Their highly qualified, licensed and insured technicians will be able to solve all of your gas issues. 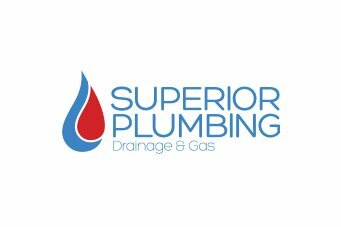 Get in touch with Superior Plumbing today for an appointment. It has been estimated that running gas for your appliances and heating systems can be on average up to 3 to 4 times cheaper than using electricity. This can quickly add up to big savings in your home or business. Gas appliances and systems are also very easy to install, use and maintain, making them an ideal choice for anyone trying to cut down on costs and maintenance hassles. Don’t leave your gas issues to less qualified or trained companies. Give yourself ultimate peace of mind and contact the gas specialists today. Gas cooktops or hotplates are a popular choice for residential and commercial properties because of their low running costs, their flexibility in layouts and design options, and the fact that you have complete control over the temperature at all times. Choosing a gas cooktop that’s right for you will depend on the amount of cooking you are planning on doing, as well as the type of cooking. For example, many gas cooktops include special features such as wok burners or space for a grill. Most gas cooktops are made out of either glass, enamel or stainless steel, and generally come with either cast iron or enamel trivets. These can sometimes be tricky to clean, so make sure you think about the practicalities of removing and replacing the trivets when looking at cooktops. These days gas ovens come in a variety of shapes and sizes, with every type of imaginable feature a gourmet chef could desire. Most professional cooks believe that gas ovens are easier to use and produce a better result for items such as cakes and roasts. Depending on whether you choose a wall mounted unit, or a freestanding oven, the prices for gas ovens can vary between under $1000 for basic models to more than $12,000. 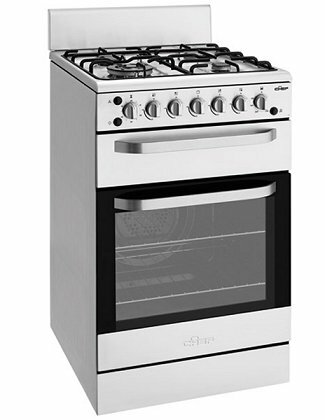 When looking at ovens, remember to look at all of the options in your budget range, from getting a double oven (rather than just a single) or a self-cleaning oven (yes, they do exist) or even considering one with a steam function. Perth can get surprisingly cold during the winter months, and having a reliable and efficient gas heating system can make all the difference to your home or business. As mentioned above, gas space heating can be so much cheaper to run over the course of a year than equivalent electric heating systems. Unflued gas heaters – these are generally portable heaters that only require a power point and a gas bayonet to function. They are easy to install, come in a variety of sizes, heat output and design options. These are a good choice for smaller rooms. However it should also be noted that many unflued heaters are unsuitable for use in bedrooms and enclosed spaces. Flued gas heaters and fireplaces – these are heaters that come with a pipe that will collect and disperse any exhaust gases outside. These can be more suitable for anyone who is sensitive to the tiny amounts of carbon monoxide that can be released with the running of a gas heater. Ducted gas heating – a ducted gas heating system can be a good investment for those who want to be able to heat all sections of a property efficiently and effectively. Most systems let you target specific zones for heating too, meaning it can keep costs down. Having a gas hot water system to heat the water used in property can be a great way to cut your energy costs and to be more environmentally friendly – it is believed that a gas system can produce up to 30% less greenhouse gases than electric water heaters. Continuous flow or instantaneous systems. These do not require a storage tank, and only heat water when it is required. Storage water heaters. These come in a variety of insulated tanks that heat and store the water. The type and size of your gas hot water system will depend greatly on the number of people in the property who will be using the water, as well as the long term running costs of the unit. As with most household and commercial systems and units, gas appliances can become subject to general wear and tear over time. 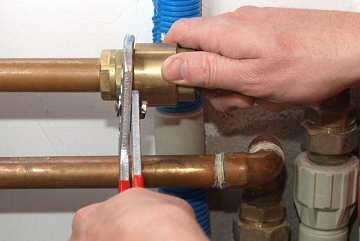 Sometimes they can also fail spectacularly in a short period of time, leading to emergency plumber and gas fitter call outs. Let’s look at some of the most common problems that can happen to gas appliances and units. Don’t just assume that all gas appliances have a natural lifespan and should work until then. The issues listed above can not only lead to you paying more in utility bills because of leaks, but it can also be seriously detrimental to the health of the people who live and work in your property. Faulty indoor gas appliances such as space heaters can emit dangerous amounts of carbon monoxide, which at some levels can even be fatal. This is why most industry experts suggest that home and business owners have a regular maintenance schedule for having their gas appliances checked. This should be completed by a qualified and trained gas fitter, and conducted on at least an annual basis. If you think your gas appliances or systems are overdue for a check up, give Superior Plumbing a call today. Why have thousands of customers across Perth have chosen us as their preferred company for gas installations, repairs and advice? It’s simple. We take pride in everything we do, from our branded uniforms and fully stocked and equipped vehicles, to our on-site work and our high quality customer service. 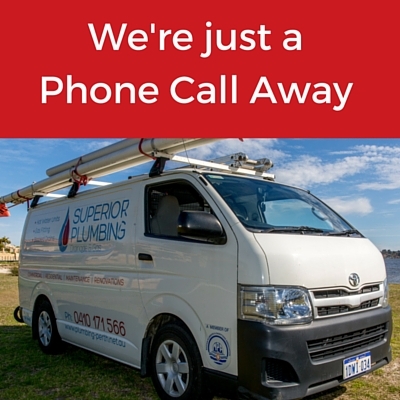 You can call on us every day of the year, 24 hours a day, for all your emergency needs. We are so sure that you will love dealing with us that we provide a 100%, no questions asked, money back guarantee. So contact our friendly operators today, and let Superior Plumbing give you the five star treatment!